I have recently received a few questions from close friends and one from an anonymous commenter asking why I have put a link button in my blogs side bar that links directly to the High Class Equine HCE blog . I thought if they are asking then maybe other readers could also be wondering why. The simple answer is that I have been a visitor to the HCE for a long time before I started this blog and hold the work that Jason (the blog owner) does on there, in very high regard. I would also like to state that I do not receive any sort of direct financial reward for linking to HCE. In answer to Mr Anon : No we are not up each other’s a#*%’s . In order to achieve that goal I want to acquire the best resources for my blogs readers and myself, from where ever those resources come from. 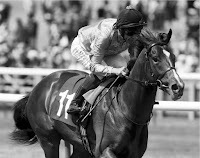 Well in my opinion High Class Equine definitely ticks all the boxes in that regard. It is veritable treasure trove of serious articles, tips, comment and fun about every facet of the gambling world, while still maintaining its reputation as one of the foremost sites related to two-year old racehorses in training. 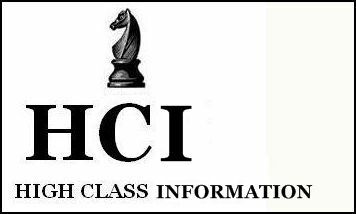 My nick name for the blog is; HCI (high class information)! I find the information contained in the three categories: professional gamblers, Guest Writers and Gambling Psychology, is priceless in its own right. Some people may say that both HCE and my blog are in competition for the same blog readers but I really don’t care about that. If my blogs readers enjoy reading articles on HCE then fine, I am offering them value by putting up the link.